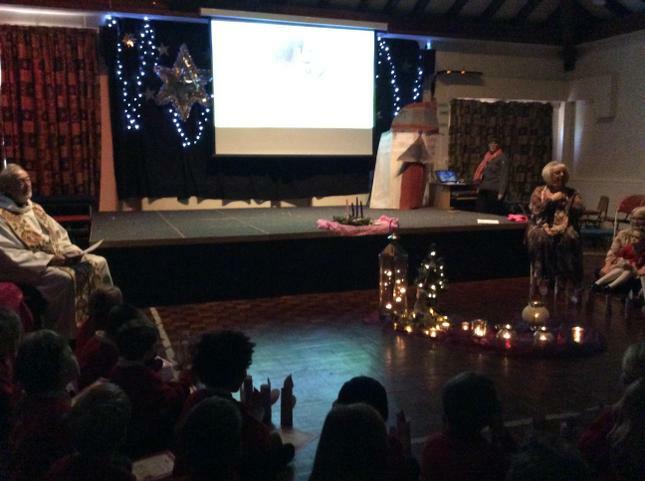 We all contributed to our display representing 'God's Great Plan'. 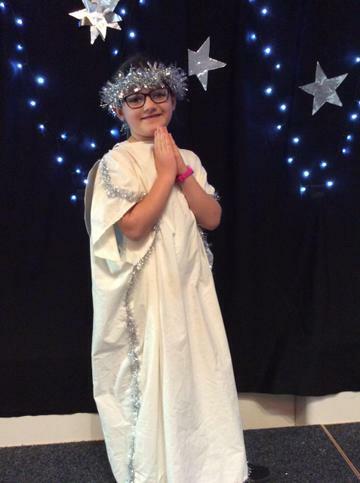 Look at all of the marvellous things God made. 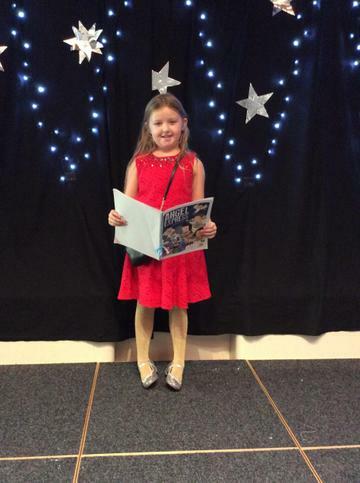 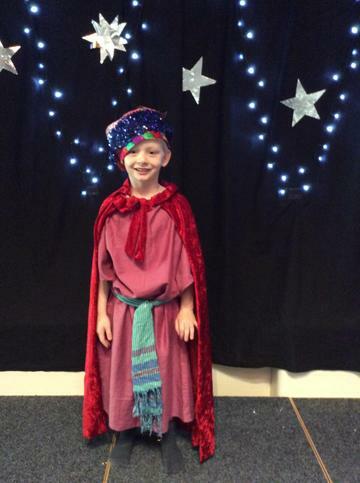 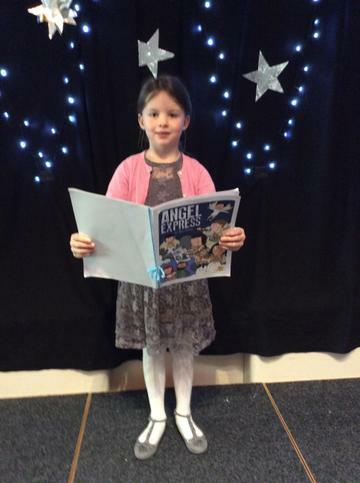 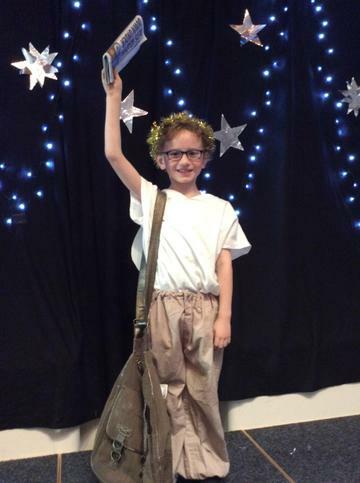 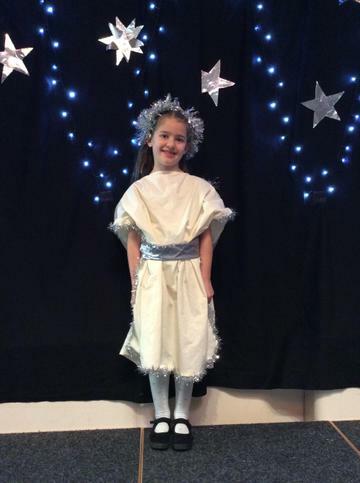 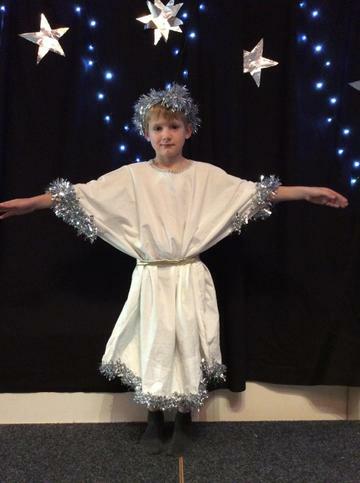 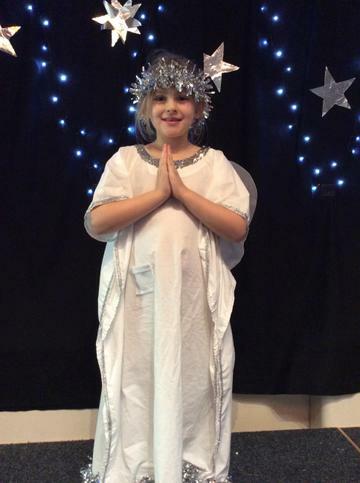 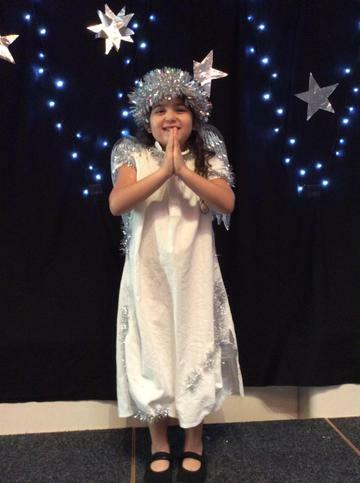 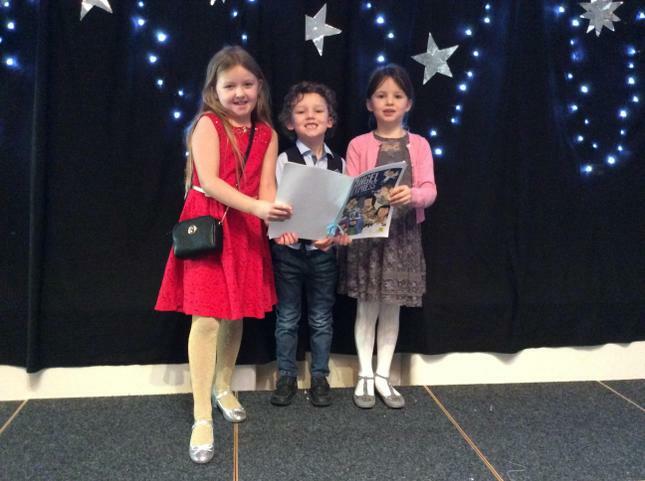 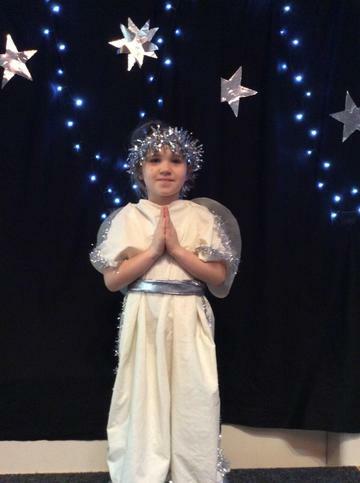 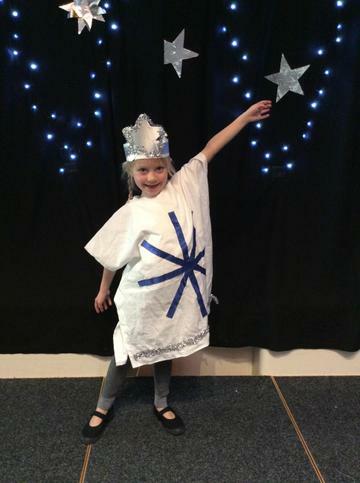 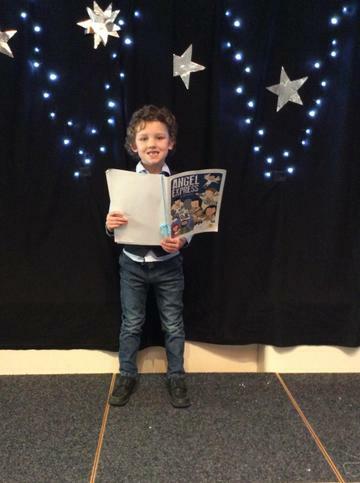 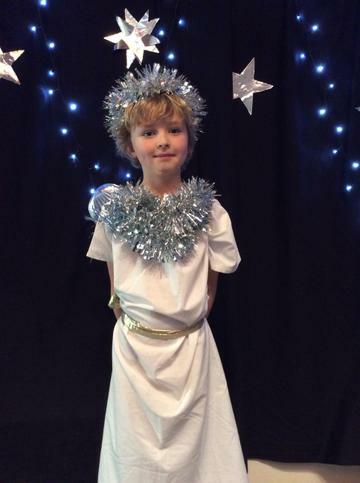 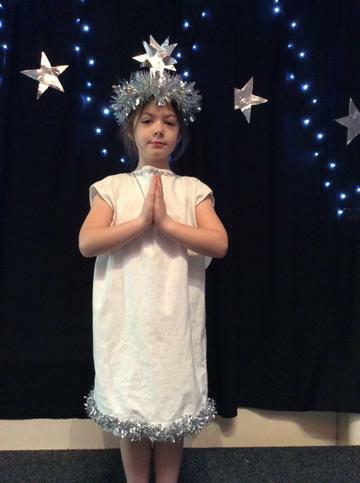 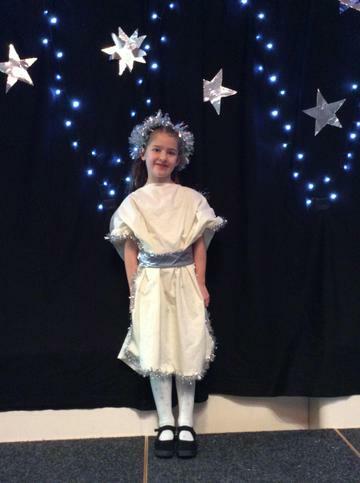 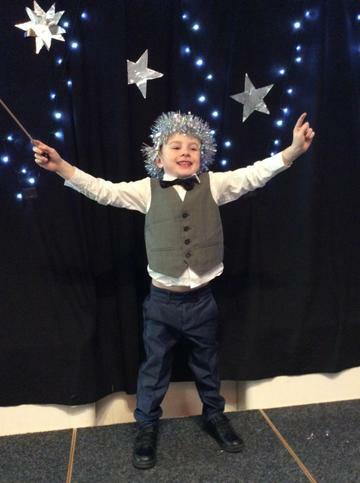 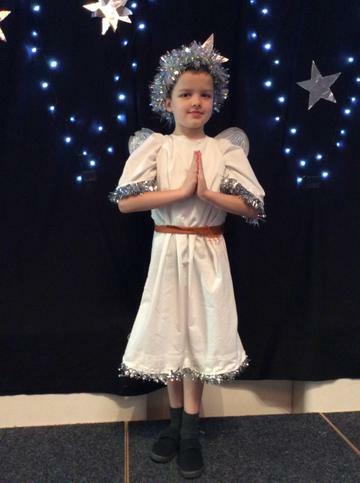 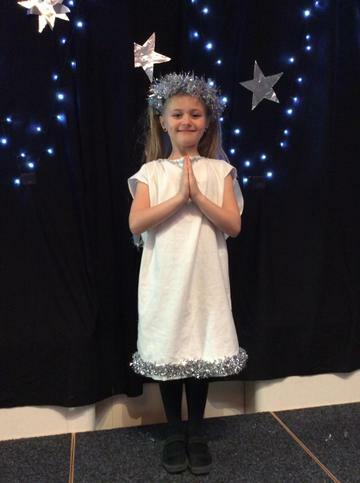 Our Christmas Play 'Angel Express' helped us to live through the story of Christmas; we all worked very hard to learn our lines, songs and to become fabulous actors and actresses. 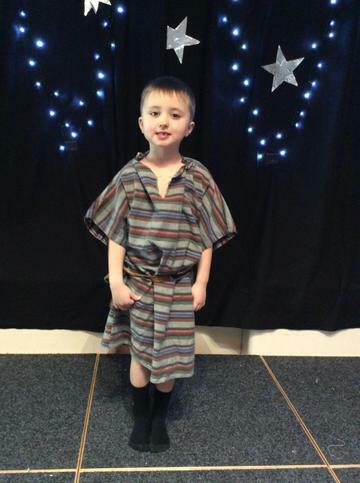 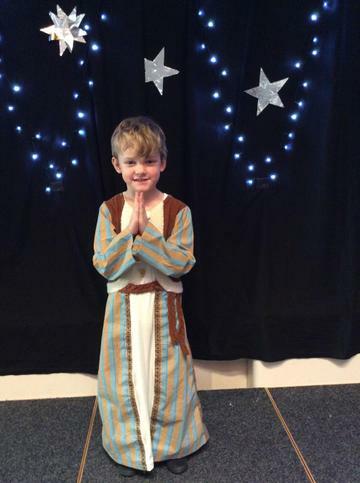 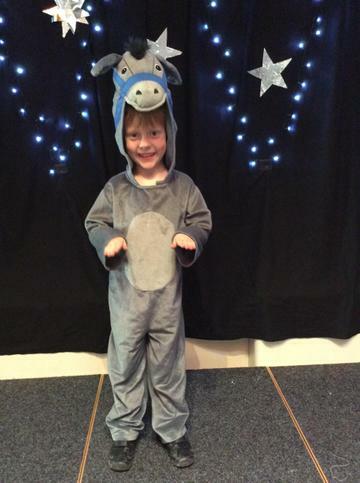 Can you recognise which character from the nativity we are? 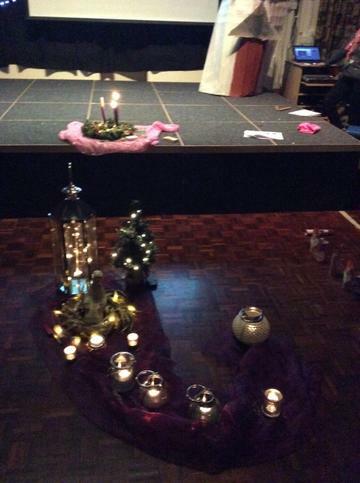 Collective worship is a special time when we gather to pray, reflect, listen and engage together in the presence of God. 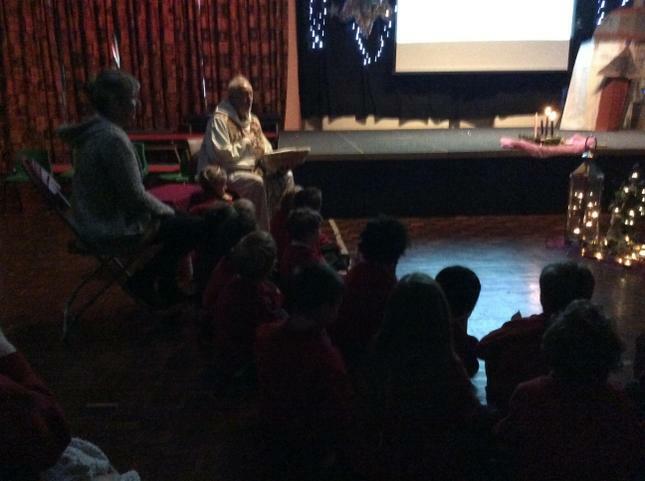 We were also delighted to welcome Father Peter to join us for our Advent service, where we reflected on how we can be lights of love, kindness and joy as we prepare for the coming of Jesus. 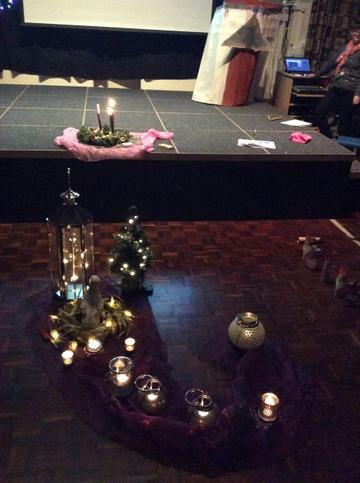 Advent; a time of hope. 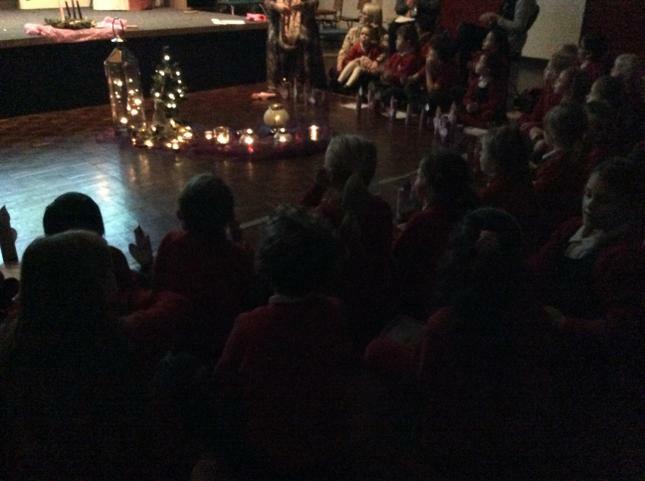 Class collective worship. 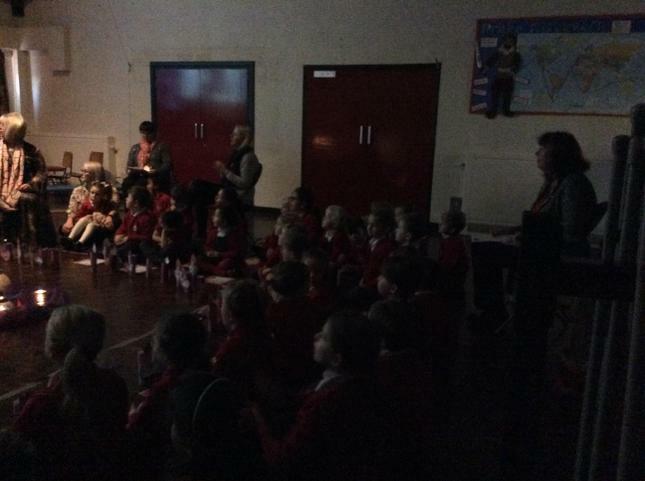 We have been learning about CAFOD's work in Bangladesh. 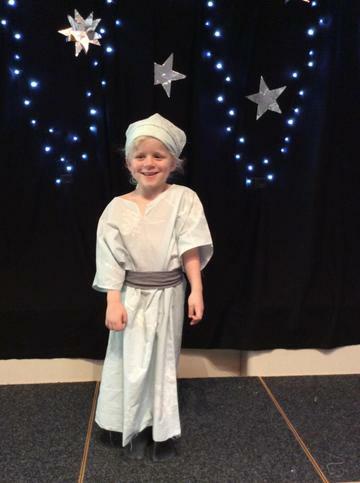 We have taken up the 'Give it up challenge' to raise money this Lent. 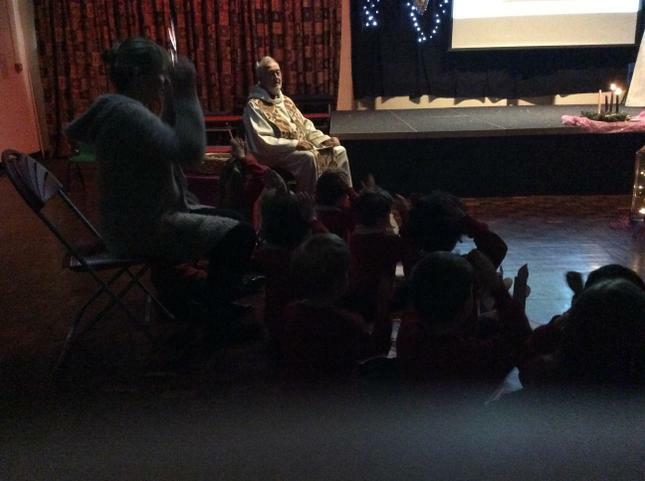 Today Father Peter joined us for our Lenten penitential service. 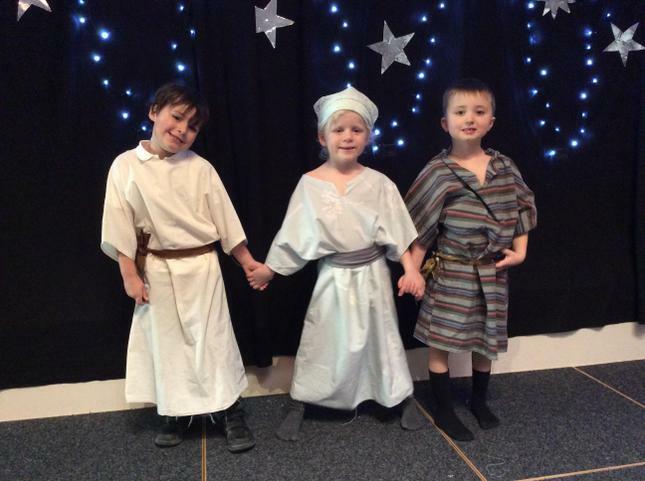 We followed a ‘trail’ from being on the beach with Jesus and his disciples into ‘The Garden’ where we were reminded that Jesus is the Good Shepherd who always looks after us and is ready to forgive us; just as he did in the story of Zacchaeus. 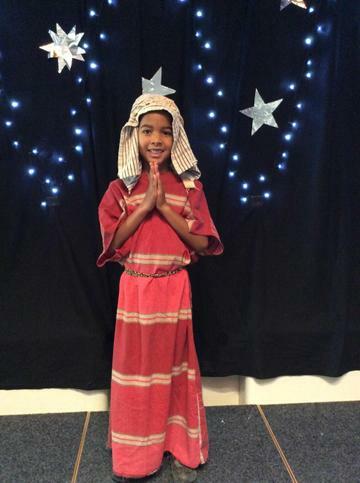 We were reminded of the Garden of Gethsemane where Jesus felt alone and sad; just as we do sometimes too. 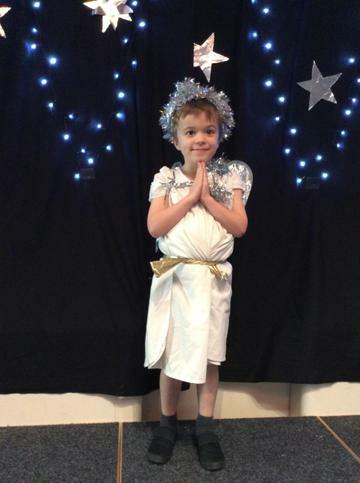 In these times He is with us. 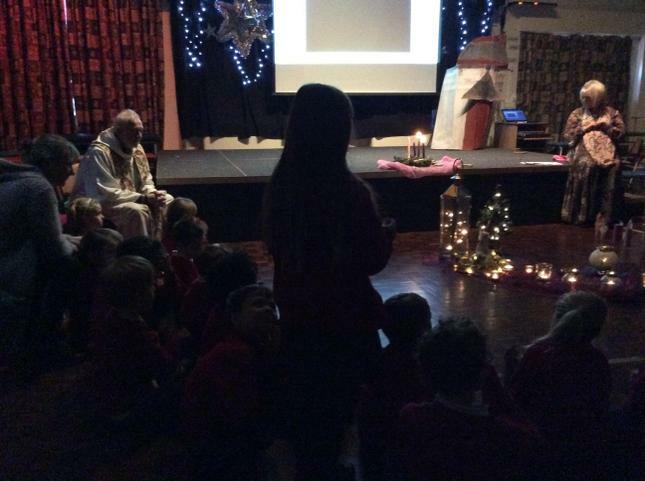 We each offered our sorry prayers to Jesus; through Father Peter. 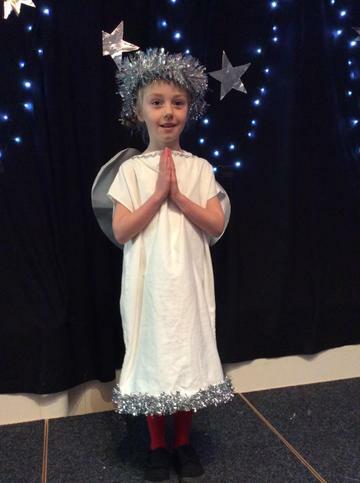 Laila, Lola and Matty led us in our collective worship this week. 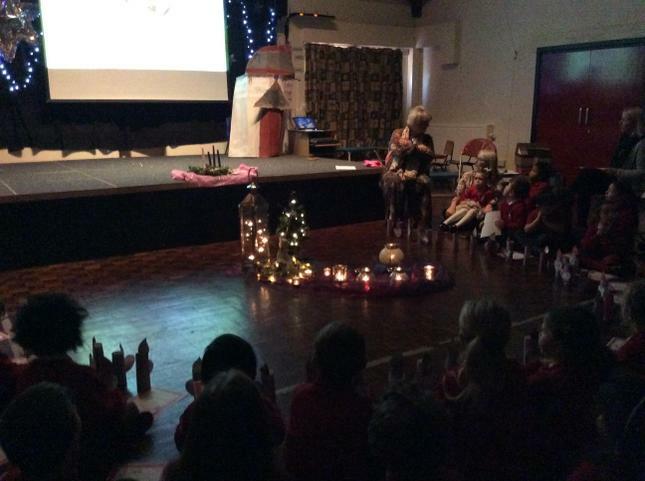 They linked their theme in with our learning on church celebrations. 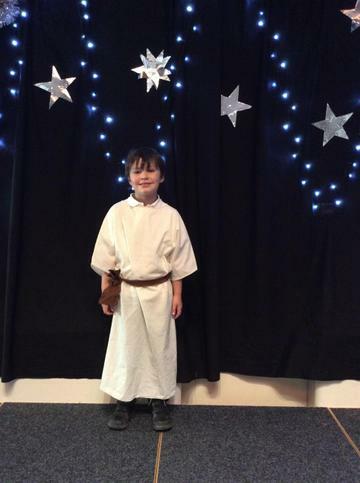 Inspired by the story of how Jesus chose his first disciples, we recorded our answers to the question 'How can we be a follower of Jesus?' 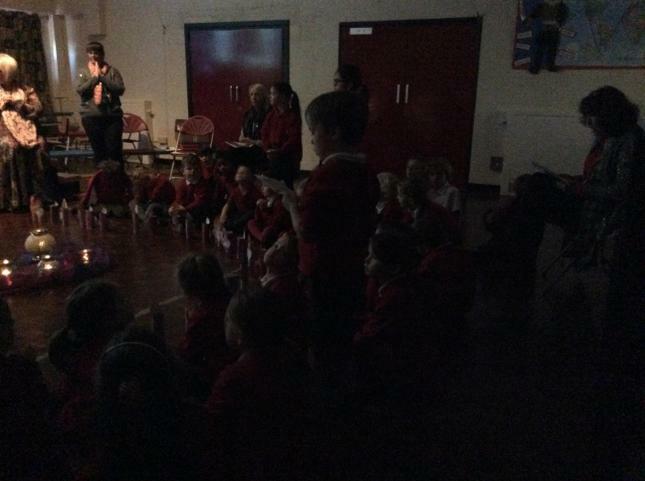 We created a display of our answers and recorded how we will follow Jesus' example; especially during Lent, on our little fish. 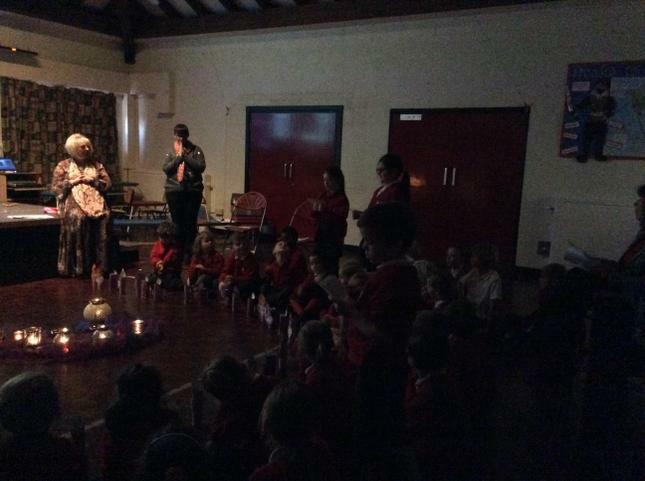 This linked in to our Lenten fundraising for CAFOD.